Try not to freeze or overheat before the summer arrives! 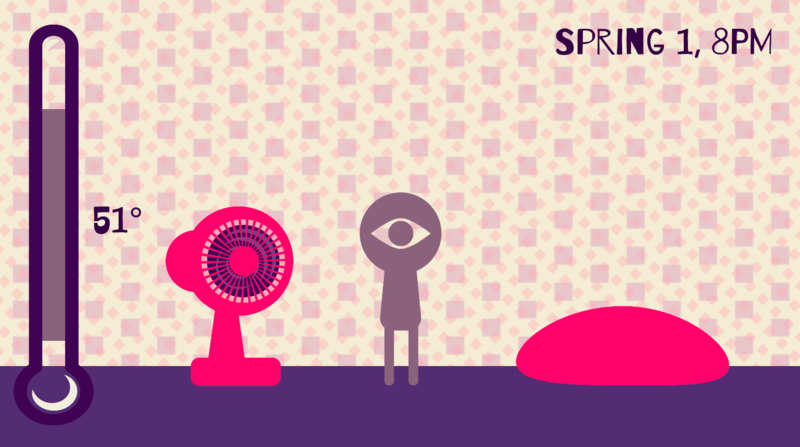 Warm up with the blanket, and cool down with the fan, but don't let any of your things get wet. Made in about 10 hours for the NYU Game Center's Prototype Studio class; the theme of the week was "Springtime." Lots of known bugs. Whatevs.